Click the dropdown menu below to see how many people are currently using the Natatorium. Convenient bus lines include the 11, 80, 81, 82 84. Get a headstart on your workout by taking a BCycle to the Natatorium. Park your bike at the station located right in front of the building. A full map of all BCycle stations in the Madison area is available online. The NAT Pool is an eight lane 25-yard pool designed for lap swimming, aqua jogging, swimming lessons, and splashing around. This pool hosts Sport Club practices and competitions, Kinesiology courses, and the UW-Madison Varsity Swimming & Diving teams. The separate diving well is available for recreational users to water jog, swim laps, or do cannon balls in. The diving well also offers one-meter spring boards for recreational, instructional, and competitive diving. For more information about our Aquatics programs and classes hosted at the NAT pools, please visit our Swimming & Scuba page. We converted a basketball court into a cardio-lover’s dream. Choose from a variety of cardio equipment, including treadmills, ellipticals, stationary bikes, and rowing machines. You’ll also find several pieces of strength equipment and our Queenax functional trainer that can be used for both open rec and small group training. This newly converted space provides additional room for our personal and small group training participants. 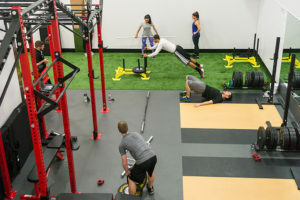 Gain exclusive access to equipment with a customized training plan provided by one of our certified personal trainers. 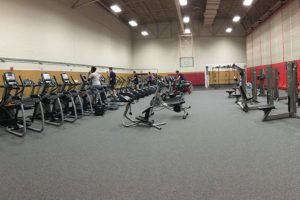 The Nat Group Cycling Studio is housed in a converted racquetball court with 20 bikes for a high-energy cycling experience. Four multipurpose gyms, with a total of seven regulation-size basketball courts, offer a variety of opportunities for you to get your game on. 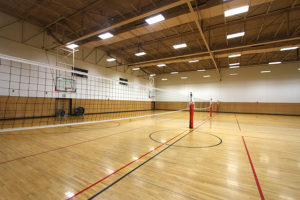 The courts also support basketball, volleyball, and badminton play, as well as Group Fitness classes and Intramural Sports games. This versatile studio hosts a variety of activities, including Mind-Body Studio classes and martial arts practices. To reserve this space for club or organization, please fill out a Special Events Request Form. Discover what your body can do in our PTC, designed to accommodate functional, Olympic, personal, semi-private, and small group training. 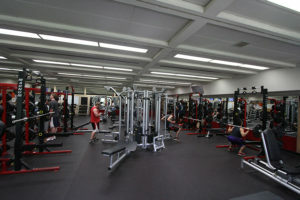 This space is open for all fitness levels and offers a positive sense of community to those who use it frequently. Two racquetball courts are available for recreational play. Court 6 is designated as a challenge court and can also be outfitted for Wallyball. Don’t have a racquet? Don’t cause a racket. Free equipment rental is available from the Towel Room. Reserve a racquetball court up to three days in advance by calling (608)-262-3790 or by or by accessing the Towel Room through the locker rooms. We doubled the size of the Nat weight room while the SERF is under construction. Find a variety… Need a spot or introduction to the equipment? Look for our Facility Attendants in the black polos – they are there to help!